The statement surely resonated with many people around the world because whenever leaders of any individual country decide to go to war it isn’t they who lead the charge on the frontline. Of course as logical as the statement was (as well as absurd in the context of modern society) the ironic fact is when Hussein’s Iraq itself had disputes with other countries no such offers were made to the leaders of those nations (as noted by then white house spokesman Ari Fleischer), and wars were fought, and people suffered. Now of course that doesn’t necessarily have anything to do with boxing but as we have seen throughout boxing history politics (or rather political symbolism) often goes hand in hand with the sport. While there is a good amount of candidate bouts that prove the previous statement none serves that purpose better than the two bouts between Louis vs Schmeling. Both Nikolai Valuev, and Vitali Klitschko were heavyweight champions of the world, and both did discuss (if not negotiate) a potential heavyweight showdown for the sake of boxing when they were active. Both fighters are now retired, and both coincidentally are currently involved in politics in their home countries. Klitschko is the mayor of the Ukrainian capital of Kiev, while Valuev is an elected member of the Russian parliament. Both should be commended for their decision to serve their people because since the collapse of the Soviet Union corrupt politicians became a true problem all over the former republics. However, since both fighters earned their fortunes in the ring, openly in view of millions of witnesses, and through years of hard work and effort, they serve as a shining example for why one should go into public service. Sadly, as everyone knows the two countries from which both fighters hail are involved in a tragic and almost inexplicable (to people like me) conflict. To date more than 6,000 people have died and hundreds of thousands have been affected and of course as with any such conflict probably none of them were the ones who made the decision that escalated this war. Now I am not claiming that Klitschko, and Valuev are the ones responsible for any of the decisions that led to this but as leaders, and politicians, and boxers in their respective countries, they need to come out of retirement and make the fight as a symbolic statement with a positive message. Make it not for the sake of beating the crap out of each other but rather as an example of the correct way politicians should lead the way and make an effort to fight for peace for the sake of all the people that they serve. The potential bout should be held on neutral territory and the purses of both should be donated to the victims of this war. Most importantly they should fight because afterwards the moment they shake hands and hug will represent a symbolic victory for both countries. 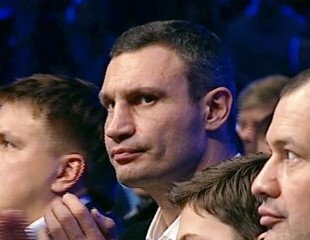 You are here: Home / Boxing News / Why Vitali Klitschko and Nikolai Valuev Need To Come Out of Retirement and Fight Each Other! An open challenge to Both former Heavyweight Champions!